Privileged access management (PAM) is the solution your organization needs to manage all accounts and ensure privileged account security . The continual increase in cyber-attacks across all sectors has prompted many enterprises to boost security. While many organizations focus on external threats like email phishing and ransomware, privileged account threats are also a serious problem. 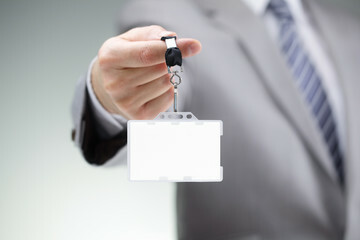 According to Forrester Research, 80% of all security breaches involve privileged credentials. These breaches could originate from an internal user with malicious intentions or an external user who stole the credentials. Organizations need to have a robust privileged access management (PAM) solution in place to prevent these security breaches. 80% of all security breaches involve privileged credentials. Privileged account credentials are extremely valuable to cybercriminals who use them to gain access and manipulate systems as internal actors. Due to their unparalleled level of access, credentials for these accounts are extremely valuable to cybercriminals. This is why maintaining privileged account security is an important component of overall protection for your organization. Many elements of enterprise organizations are constantly changing and evolving. Between new devices, applications, technology and employees, the security landscape is always shifting. Everything must be highly monitored to comply with regulations, but this can be difficult to manage with so many accounts. This leaves your organization vulnerable. Hence the 80% figure cited above. When organizations have too many privileged accounts they leave their organization vulnerable to attack. Privileged access management (PAM) is the solution your organization needs to manage all accounts and ensure privileged account security. By having a centralized system with customizable permissions for every user, your IT team can easily manage privileged accounts to provide the minimal access required to get the job done. Session Manager: track the actions of all privileged users in your organization. Having an unalterable audit trail makes it easier for organizations to meet compliance regulations and improves behavior by the simple virtue of employees knowing it’s in place. Password Vault: keep all passwords in one secure location that prevents end users from having access to root passwords, helping further protect your organization in case credentials are stolen. Access Manager: ensures privileged account security by providing a single point of access for accounts. Super admins have the ability to add, modify, or delete users quickly based on changes in responsibilities or employment. PAM makes it easy to ensure privileged account security. PAM helps defend your organization against internal and external threats. By using PAM to centralize your privileged account security operations, you can further protect your organization from damaging data breaches. The comprehensive WALLIX solution provides your enterprise with the security tools you need to ensure privileged account security. Our straightforward architecture integrates with your existing security solutions, is adaptable, and deploys quickly. The intuitive UI makes it easy for administrators to monitor activity and look out for potential threats. Unalterable audit trails monitor account activity for future review and use in compliance reporting. Easily monitor, manage, and audit all accounts with the WALLIX solution. The WALLIX solution helps you monitor, manage, and audit all accounts throughout your organization. 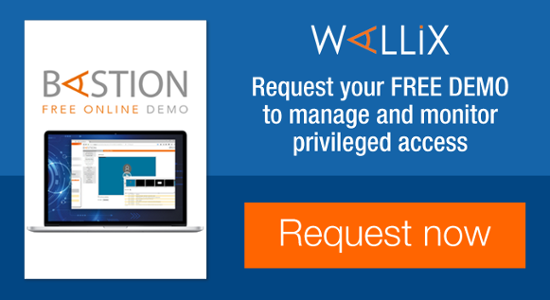 Protect your organization from threats with advanced privileged account security from WALLIX.